I was home sick from work today, and spent most of the day sleeping. 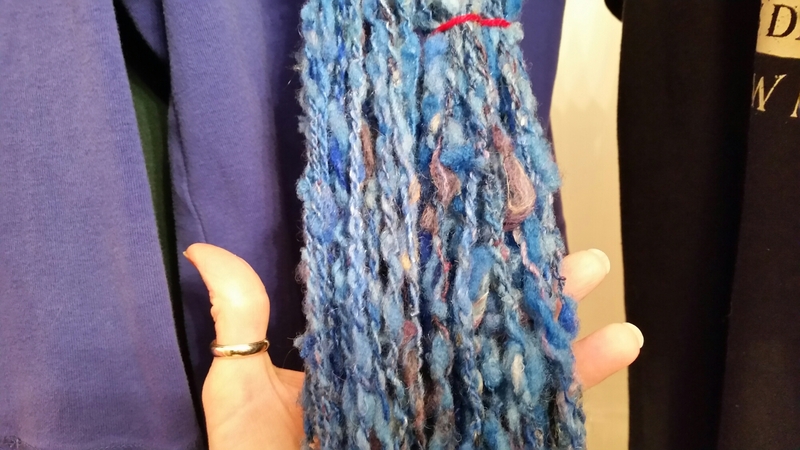 But I did ply the art batt – it came out very floofy from the soak. It’s very pretty, and It will be fun figuring out what I want to do with it. I have a book about knitting from smaller quantities of yarn and putting garments together, I have to dig that out again. I started on the hankies. These are created from a cocoon that is stretched out on a frame and dried to hold that shape. These ones that I have are dyed, I’m not sure where in the process that happens. To spin them, you take one layer, poke a hole in it, and then s-t-r-e-t-c-h it out from there into a big circle. When it’s stretched enough, you break it at one point and spin from that. I’m surprised at how long it gets when you do that, at least 5 or 6 feet. 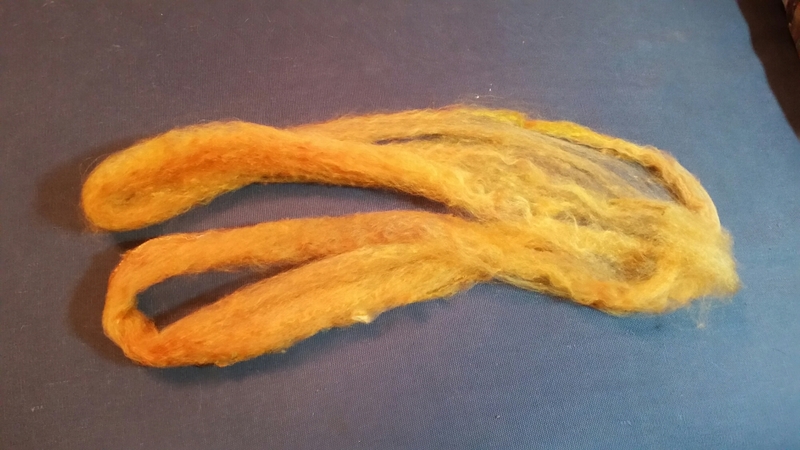 There was sort of an extra little wad of fiber in the package that I spun first, just to see what it was like. This is going to be fun. This entry was posted in Art, Fiber and tagged Arts, beginnings, Honesty, silk, Spinning. Bookmark the permalink.